Half the battle of learning about the solar energy industry is understanding the jargon. Whether you’re just getting started or need a little refresher, review our simple definitions below to gain better insight on the solar industry. This is something you might hear your solar installer mention. It can refer to almost anything in the system—wiring, nuts, bolts, and more. It’s basically a term to cover all the parts of the system. This term refers to the practice of integrating photovoltaics (PV) into building construction. BIPV modules typically replace other conventional building materials while simultaneously serving as power generators. These modules can be integrated into building facades, roofing, and awnings, and some solar cells can even replace certain types of glass. This regulates the electricity going into a battery (if you have one), and protects the battery charge during off hours. A charge controller is needed because a battery can be damaged by a fluctuating charge, which would happen if the battery were connected directly to the solar panel system. This is a fancy name for an off switch. But it’s important to know where the switch is in case there is an issue with the electrical system (you should shut off it first thing if there is a problem). Sometimes simply called “the grid,” this term refers to the system that delivers electricity from suppliers to consumers. Electrical grids are made up of generating stations, transmission lines, and distribution lines. Generating stations produce the electrical power, which is carried over high-voltage transmission lines to demand centers. Distribution lines then move the electricity from the demand centers to individual customers. An energy audit is an assessment that evaluates how much energy is consumed in a home and identifies ways to make a home more energy efficient. An energy audit can help homeowners recognize patterns or problems that may, over time, waste energy and money. Most audits come with recommendations to change or correct any identified problems. This is another name for a rate increase. If you enter a lease or power purchase agreement (PPA), look out for escalators or rate increases. For example, SolarCity has a 2.9% rate increase, which is a common rate for large solar providers. Whatever the rate or escalator may be, be sure to carefully read through the paperwork. There’s a 30% federal tax credit for installing a home solar system. That means you get a credit, not a deduction, of 30% of the total cost for installing solar panels. Being tax-related, it’s a little more complicated than just that, but that’s why we made a post dedicated to the Federal Tax Credit for Solar. The tax credit is temporary, so be sure to read about it before it’s gone. A feed-in tariff is a pricing policy that promotes the use of renewable energy sources. Feed-in tariffs are long-term agreements that allow utilities to purchase energy from customers who use FIT-eligible sources to generate renewable energy. Rooftop solar panels are often eligible for FIT programs, so solar users can receive a set payment for any electricity that is produced and delivered to the grid. Not all states offer FIT programs, however. A grid-connected system acts much the same as an independent PV system, but instead of running all on its own, it works in tandem with a utility grid. Although PV systems can provide power to homes or small businesses without being connected to the grid, those setups depend on ample sunlight. A home or office with a grid-connected system, on the other hand, can feed excess power back to the utility and draw energy from the grid in times when renewable resources are not available. Interconnection is what allows power to be transmitted between two parties—a utility provider and an end-user, for instance, or two separate utility companies. Linked transmission lines let power move back and forth in either direction. In relation to renewable power specifically, interconnection refers to the process of connecting renewable technologies to the larger electrical grid. Microinverters are installed in individual solar panels and are ideal for small solar power systems. String inverters are ideal for large residential or small commercial setups. Central inverters are ideal for large-scale systems like solar farms. Irradiance is the amount of power received per a specific area. Solar irradiance measures all radiation from the sun that strikes a particular surface, whether it’s direct or reflected. Irradiance is typically demonstrated in kilowatts per square meter (kW/m2). A kilowatt (kW) is a measure of power — the demand at any given time. A kilowatt-hour (kWh), on the other hand, is a measure of energy — the consumption of power over a period of time. A kWh is the power demand (kW) multiplied by the total amount of time the power is being used (in hours). So, if a 30-watt bulb is running for 24 hours, 720 watt-hours or .72 kWh is consumed (30 watts times 24 hours). The average household consumes about 30 kWh per day. If your solar panels receive five hours of peak sunlight per day, you need 6 kW of output (30 kWh divided by 5 hours — that’s your demand) to cover 100% of your energy use. A typical solar panel can produce between 250 and 270 watts of peak power during ideal conditions, which means you’ll need about 24 solar panels to make a 6-kW array. One megawatt (MW) is equal to one thousand kilowatts (kW). One megawatt hour (MWh) is equivalent to 1,000 kilowatt-hours (kWh) continuously consumed in an hour. One MW can power an average of 164 homes, though that number can vary significantly by region. This is what monitors the energy production of your home solar system. You’re probably familiar with the traditional meter, but if you get solar panels, you’ll need a bi-directional or digital meter. This is what will physically hold your solar panels in place. You might hear other jargon for parts within the mounting system, such as front skirts, plumbing vents, rail ends, top clamps, and more. But what matters most is how the mounting system might affect the condition of your roof or the look of the home. The NEC, also known as NFPA 70, is a publication from the National Fire Protection Association that provides guidelines for all manner of electrical installation in the United States. Article 690, which details specific installation codes for solar photovoltaic (PV) systems, should be consulted for all PV system installations. Local and state guidelines may qualify some NEC suggestions and should also be considered prior to installation of any solar energy system. Net metering is a billing system that allows users with a solar array to send excess or unused solar energy back to the utility grid for nearby users to consume. This system helps solar power users gain significant savings per month on their utility bills. When energy demand is low during the day, a typical solar panel system produces more electricity than one household can utilize. Net metering allows users to gain credits for the excess energy their solar panel systems produce during this time. Then, during the evening or periods of peak usage, a household can use these credits to consume electricity that is already paid for. 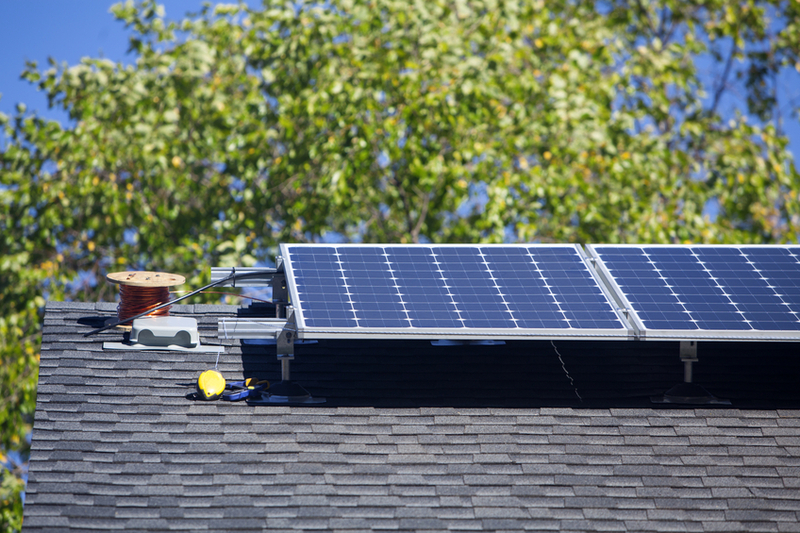 Net metering benefits vary between states. 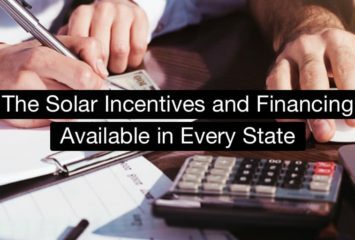 To learn about your state’s net metering policies, check out the Database of State Incentives for Renewables & Efficiency® (DSIRE). Not to be confused with an hour of daylight, one peak sun hour is one hour’s worth of sunshine at an irradiance of 1 kilowatt per square meter (kW/m2). Peak sun hours, measured as kilowatt-hours per square meter (kWh/m2), are influenced by the time of day, the season, the presence of clouds, and geographic location. Even though solar panels may receive eight hours of partial sunlight in a given day, that may average out to only three or four peak sun hours. The term photovoltaic (PV) comes from two root words: “photo” (light) and “voltaic” (voltage). In physics, “photovoltaic” refers to anything that produces electricity when exposed to light or other radiant energy. Solar cells, solar modules, and solar panels are often referred to as PV cells, PV modules, and PV panels to express how their electricity is produced. Photovoltaic (PV) conversion efficiency refers to the percentage of solar energy that a photovoltaic cell can successfully convert into usable electric power. A lot of research in the renewables field focuses on improving the conversion efficiency of PV devices in order to make solar energy more competitive with traditionally generated energy. The technical term for solar panels. This is a type of solar-purchasing contract. A developer finances a solar energy system and installs it on a customer’s property—usually at little to no cost for the customer. The energy produced is then sold to the customer at a set cost that is cheaper than traditional utility rates. When the agreement ends, the customer often has the option to extended the term, remove the equipment, or purchase the array from the developer at a reduced cost. For more information on PPAs, check out our Solar Financing Options post. Note that under this type of agreement, the developer receives any tax credits or rebates for a given array. Real-time pricing (RTP) is a type of time-varying rate (TVR): it empowers users to pay for the actual price of electricity at any given time and save on utilities by adjusting their personal energy use during periods of high or low demand. RTP policies vary from state to state, and the cost of electric power can vary significantly within a 24-hour period — cost depends on a variety of factors, including expected supply and demand, temperatures, fuel prices, or even a generator outage. Despite these cost fluctuations, however, users tend to pay the same price regardless of when their energy is consumed. With RTP, a user receives a price signal in short intervals that reflects the real cost of consuming electricity during that time. This pricing system requires the installation of a smart meter to transmit electricity cost data, but can save users an average of 15% on their utility bills. Smart grids are electrical grids that incorporate digital technology, allowing for computer-based automation, remote control, and two-way communication between a utility and its customers. Because smart grids consist of technology and equipment working together, they can respond digitally to immediate changes in demand for electricity. Smart grids should offer increased energy efficiency both on the grid and in end-users’ homes and offices. A solar array is a collection of solar panels wired together to create the desired energy output. The typical residential solar array consists of 20–25 solar panels to cover 100% of its energy consumption. A solar cell — also known as a photovoltaic (PV) cell — is the basic component of a solar panel. When sunlight hits the cell’s surface, the electrons in the cell are knocked loose and electricity is produced. Each solar cell is typically made of a thin, crystallized silicon wafer. A solar cell is octagonal in shape, bluish-black in color, and about 156×156 mm in size. A large bundle of solar cells can be wired together into a solar panel, or a cell can be chopped to pieces and fit into tiny gadgets like calculators and digital watches. A standard solar cell can generate about 1 or 2 watts of power; some solar cells can generate as much as 3 to 4.5 watts. A typical solar panel is made of 36 to 40 solar cells. A solar farm is often referred to as a solar ranch, solar field, or solar park. Spanning between an acre and 100 acres of solar panels, a solar farm allows a community to reap the benefits of a solar electricity system without purchasing, installing, or maintaining individual systems. Solar farms usually install solar panels on towers that can track the sun to produce a higher energy output each day compared to a typical — static — residential solar array. This payment option has similar benefits and drawbacks as a PPA, but instead of paying a specified rate with the solar provider (e.g., $0.16 per kWh), you make a monthly payment to the solar provider. You can think of it as a way to make a lower monthly payment for cleaner electricity. For more information on a solar lease and what it is, check out How to Pay for Solar. A solar loan is the only way to get the benefits of owning a home solar system (state incentives, tax credits, etc.) without paying for the entire system upfront. It functions like a typical, home-associated loan, but there are some nuances. Read How to Pay for Solar Panels to get all the details. When solar cells are wired together to generate larger amounts of power — typically in a bundle of 36 to 40 cells — they form a solar panel. The term solar panel is often used interchangeably with solar panel. To accomplish desired current and voltage, solar panels are wired together to form an array. The average household will require 20–25 solar panels in its solar array to cover 100% of its energy consumption — though you’ll want to use a solar calculator to determine how many panels your household’s average energy consumption will require. Time of Use (TOU) is a type of rate-varying use (RVU) pricing: it breaks up the 24-hour day into three or four pre-defined time blocks, not based on actual usage at those specific times. This tiered pricing structure will remain fixed on a daily basis over seasons. TOU pricing encourages users to shift their electricity consumption to certain time blocks where demand is low and costs are cheaper. These move the panels throughout the day so they will always be facing the sun. You’ll want your solar panels to face true south (not magnetic south). You can skip busting out the compass by using Google Earth (a feature in Google Maps) to find which direction your roof faces. Don’t sweat it if your roof faces a different direction; you can usually set up the panels to face true south. It may be quite a challenge to wrap your head around the solar industry’s vernacular for the first time. Bookmark this glossary just in case a word or phrase leaves you scrambling.